Spring Blossom Journey: Just Add Ink #258 - Colour Combo! Just Add Ink #258 - Colour Combo! Oh my! I LOVE the colour combo challenge this week at Just Add Ink!!!! I made this cute little birthday pack for a cool 17 year old girl! I thought it was modern with a touch of girly-ness. 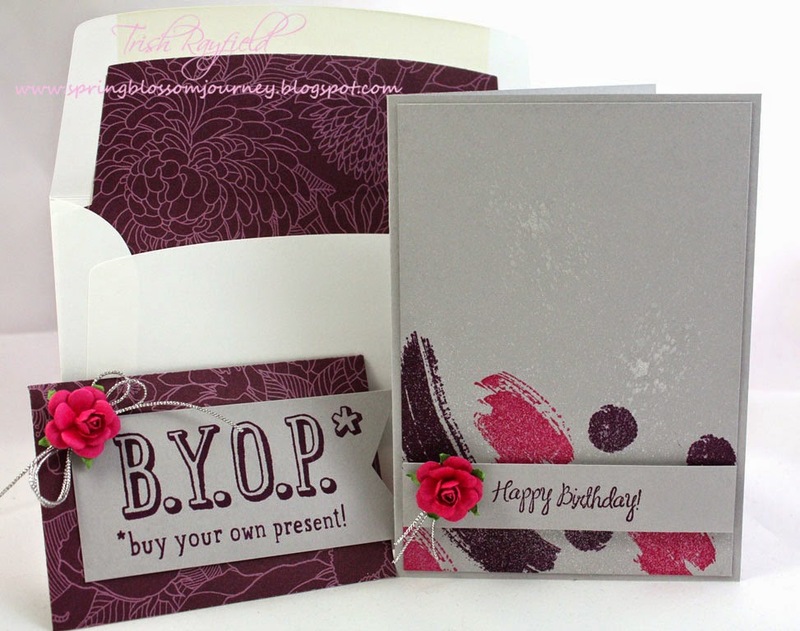 I'm loving the B.Y.O.P stamp set and coordinating thinlit die! Perfect for teenagers who are so hard to buy for. Here's a close up of the card so you can see the sliver simmer spray for and added touch of bling!!! 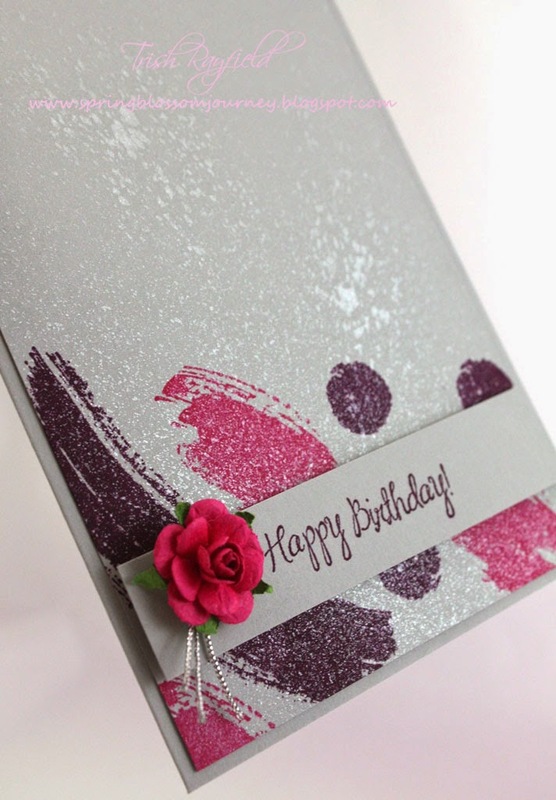 The design team have made some STUNNING cards so pop over to the JAI blog and check them out. Fantastic card and gift card Trish! Perfect for a teen! Love all the sparkle and shimmer! Pretty! And how cute are those flowers! Love it! I just loved this perfect project as soon as I saw it Trish - these colours are perfect for a teen! I also adore the little money envelope with fun sentiment! This is definitely modern and cool, and I bet it was well loved!! Loving all that shimmer too, perfect for a teenager!